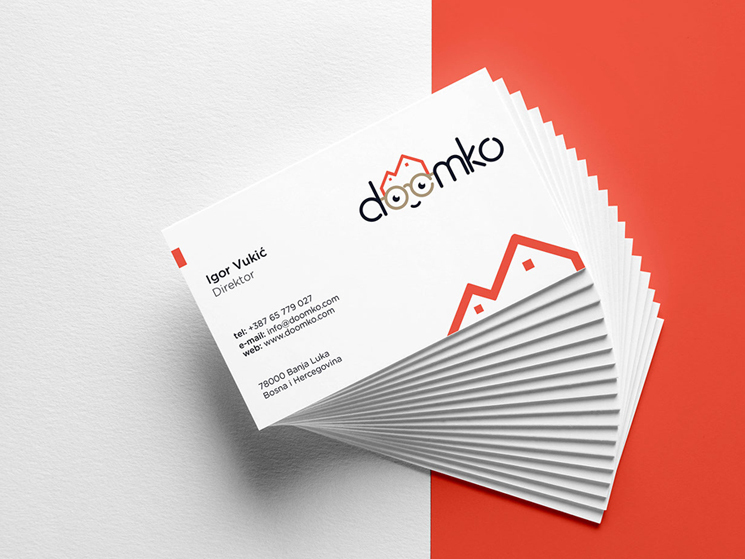 Nevena Katalina designed these business cards for Doomko, a real estate company. Doomko wanted a simple and clean logo design, so the whole concept and promo materials were done in the same direction.  The contact details are properly aligned on the left while the graphical elements are on the right. 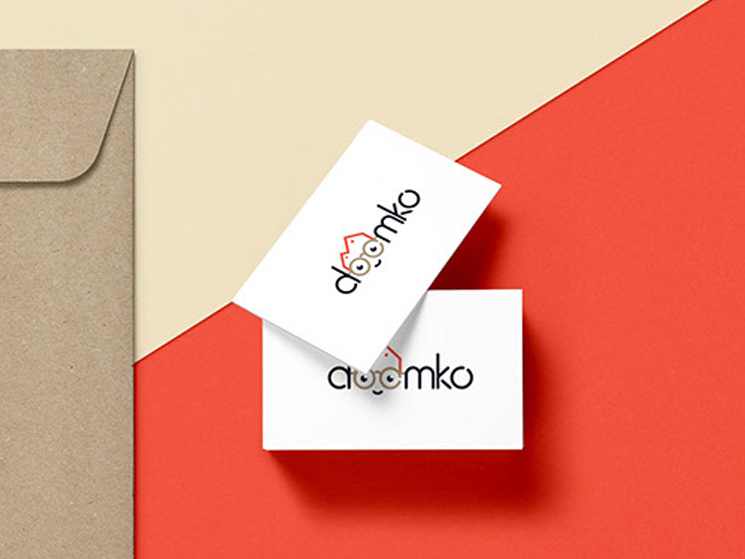 With a catchy logo as Doomko’s, you don’t need over-the-top typography to mess up the clean design. According to Nevena, her client printed these business cards at a local print shop using simple white 300gr matte paper, as the client wanted it to be as simple as it is. 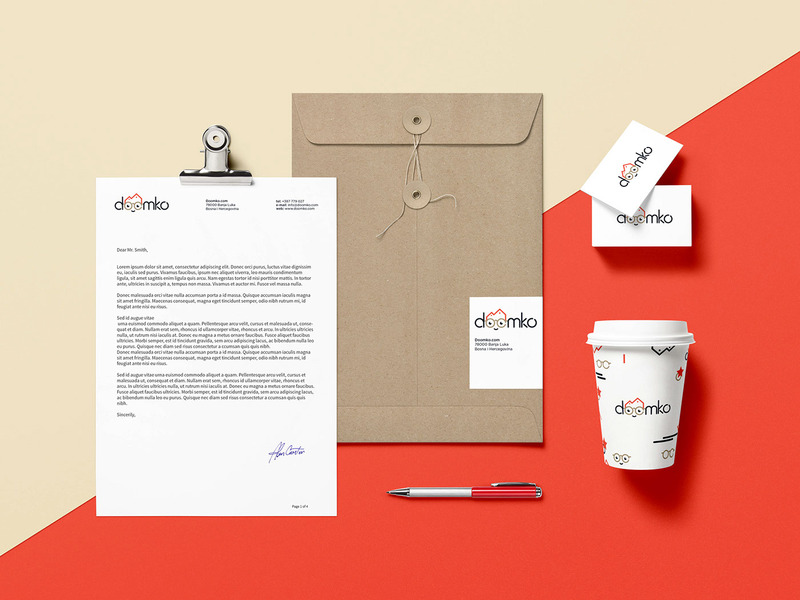 The entire card design is minimal and aesthetic, along with clean lines and bright colours – a great way to exude confidence and style when meeting with potential clients!